It has been an intense two-day meeting for the SMART-map consortium. 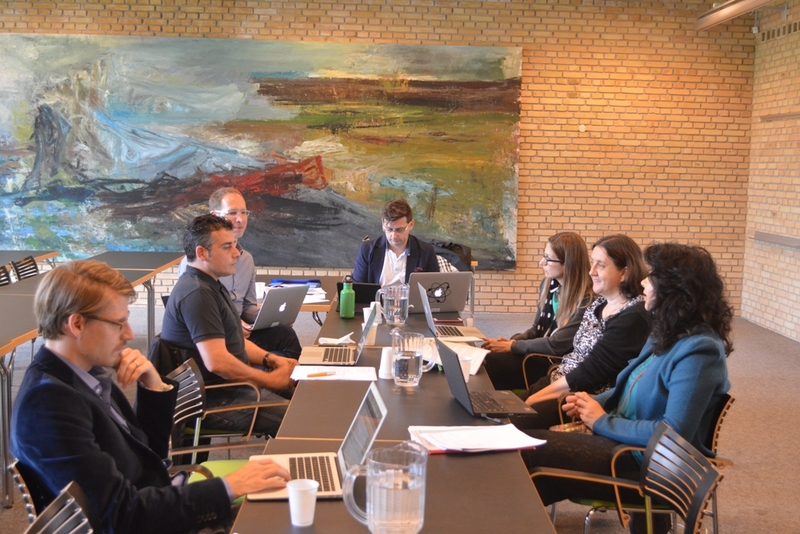 Partners and coordinators met for the first time on June 15th at the University of Aarhus, in Denmark. Hosted by Francesco Lescai (SMART-map coordinator), the kick-off meeting officially marks the beginning of the team activities. 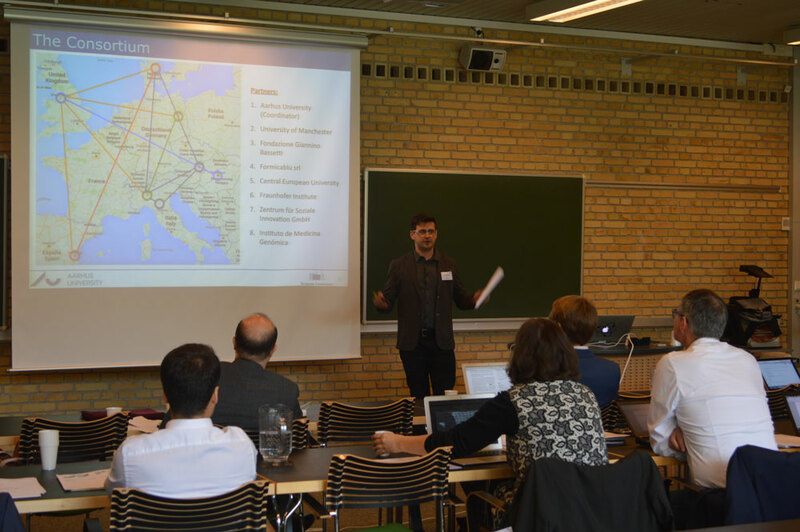 Francesco Lescai (SMART-map coordinator) recaps the project’s objectives and structureOn the first day, members from all partners were joined by the European Commission Project Officer to discuss goals and strategies of the project. The meeting was therefore an occasion to better understand the Commission perspectives and to make sure that the project development follows the Call guidelines. The participants discussed previous experiences and projects on Responsible Research and Innovation (ResAGorA, RRI Tools, CIMULACT, VOICES) and worked through the definition of a specific and concrete outcome for the project, the smart map. The meeting served to share experiences from different countries on the three industrial fields of interest. Innovation pipelines from synthetic biology, precision medicine and 3D printing have in fact commonalities as well as differences. Participants also discussed the diverse stakeholders that could be invited at the Industrial Dialogues. Recommendations and outcomes from the first day were recapped during the Executive Board Meeting on June 16th. The list of recommendations is available here.